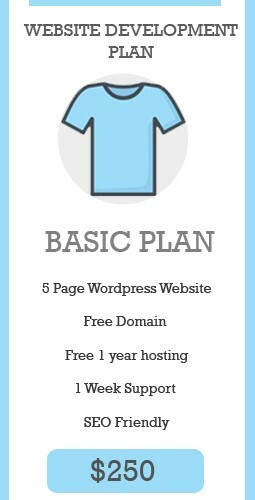 Self-hosted means you’ll have a domain name of www.yourname.com, while a free WordPress Blog will give you yourname.blogspot.com. 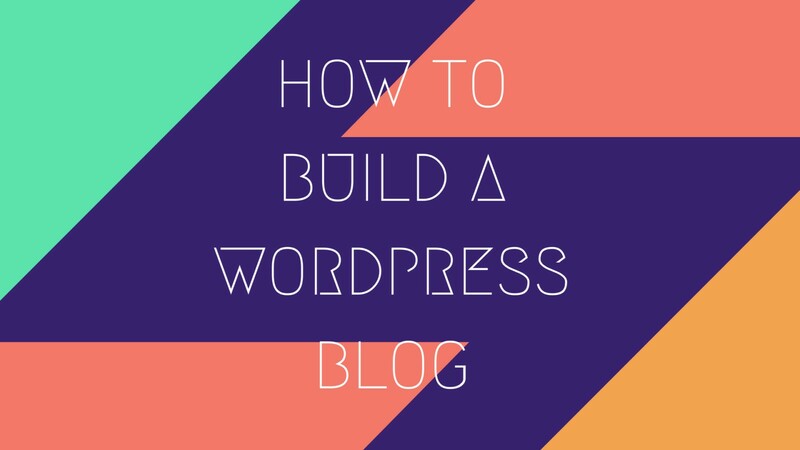 In any case, we will focus on self-hosted blogs in this guide. There are thousands of WordPress themes out there, free and premium, and it will take you an entire week just to pick the one suited for your needs!I’ve taken the liberty of selecting two premium themes and two free themes so you can get started easily. After clicking on “Themes” a new page will appear. By default, you will see two themes for the fresh installation. In order to install a new WordPress theme, you need to click on “Install Themes”. To install by uploading, of course, you will need to download the WordPress theme files. After doing so, simply click on Upload. Your new WordPress theme is now ready! For the setup of each plugin, it would be impractical to write a step-by-step guide for each of them since the authors of these WordPress plugins have written a guide themselves. All you need to do is follow the links and read the guides – in-depth and to the point! 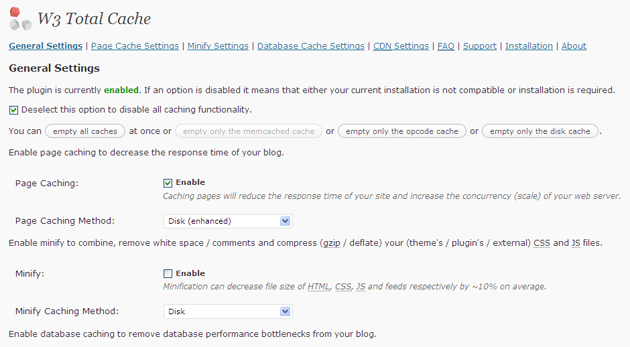 The most recommended caching plugin for WordPress. What it does is it speeds up your WordPress Blog, making your website a more desirable experience for every user. It can also save you bandwidth, as it minimizes the downloads and requests made by the user from your server. Bandwidth is the amount of data your server can accommodate. The more people downloads or requests your website gets, the more bandwidth you are using. When you reach your maximum bandwidth, your website will run very slow and might even go offline. You can find an in-depth installation guide for W3 Total Cache on the download page itself. It’s tedious, but the time you spend making it work will benefit you in the long run. 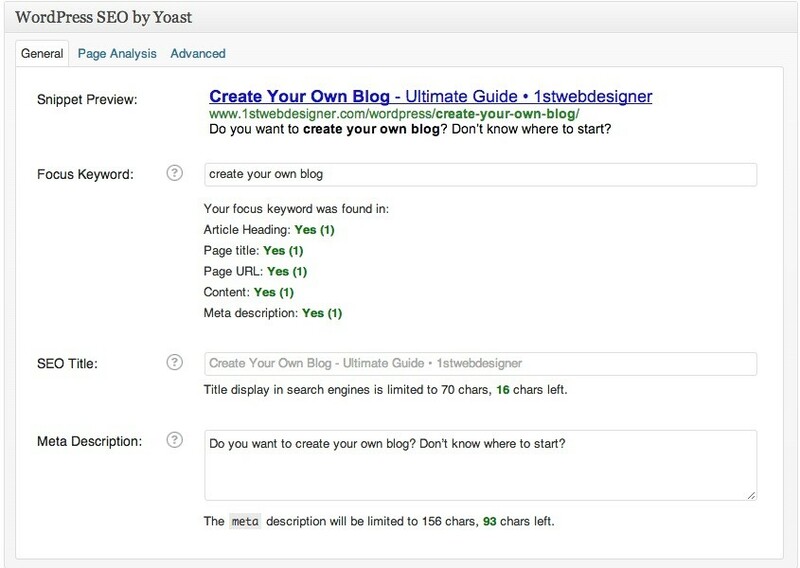 The best SEO plugin for WordPress to boost your website’s traffic from search engines. This is how people find your website based on your content and based on their searches. 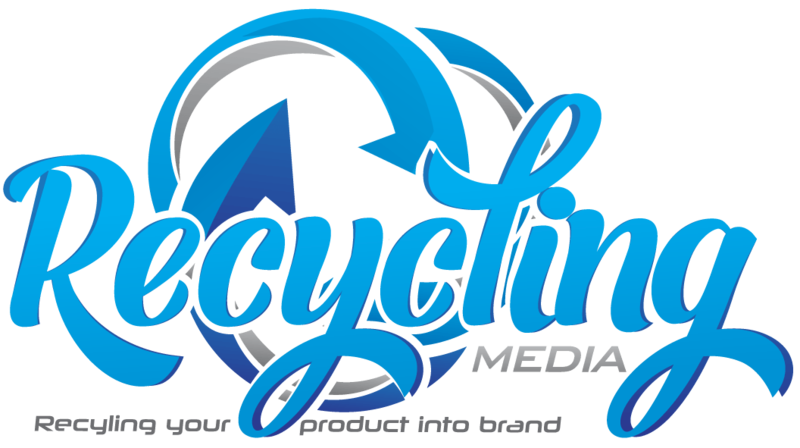 Based on your text content and keywords that you use, people will find you easier. Everything from your first sentence, focus keyword, title, and page URL will help bolster your ranks on search engines. The WordPress plugins will straight up tell you what you need to do, especially under the Page Analysis tab. All you need to do is follow the instructions given. The example above is a simplistic approach to things just to give you an idea of how it works. In reality, if you want to dominate search engines with your blog you will need to do keyword research and find the perfect keyword for you. Social media buttons are a necessity today for websites to increase promotion across social media sites. How will people like or tweet or pin your blog post if you don’t have this cool floating bar right beside your blog post? It’s non-obtrusive and won’t make your blog run slow. I use it for my WordPress Blog! You can’t be certain what will happen to your website, so backing up your database and files on a separate location other than your server is highly recommended. It’s free and automatic! What is a Favicon? Check your browser’s tab for 1stwebdesigner.com and you will see a small icon. Do you want to have one too? Sure! Faviconer – this is where you will create your favicon, or you can design it using Photoshop or Gimp, just be sure to keep a 16×16 or 32×32 size. FileZilla – an FTP client so we can install FileZilla. WARNING: don’t fiddle around here too much since you will be dealing with your website’s files directly. Any changes will affect your live website. Prepare your favicon (and don’t forget to name it favicon.ico). Using FileZilla, login to your FTP. Host: ftp.yourname.com (just change it with your own domain, prefixed by ftp). Username: you can find this under FTP of your Bluehost dashboard. Password: the password you used to login on your dashboard. Once logged in, you will see a list of folders to your right. Click on public_html. Upload your favicon.ico here, replacing the default one. Wait for the file to propagate! This is how FileZilla looks. Click on public_html to find your Favicon.ico. Easy, right? Just be sure to not tell anyone what your password is! This is basically the brain of your blog! Want this on your sidebar? I’ll show you how! The first thing you need to do is to create a fan page. Next is to customize your Like Box. Next is to fill up all the necessary fields and check/uncheck what you deem necessary. After setting it all up, click on Get Code. A window will pop up and you’ll just need to copy the code. Hey, don’t judge. I’m lazy, so I just usually use the Iframe version. With HTML5 and the rest I’ll have to insert the code in two different locations, but with the Iframe version, I’ll just have to paste it as a widget in my sidebar. That’s it! You’ll soon see your Facebook like box on your sidebar.